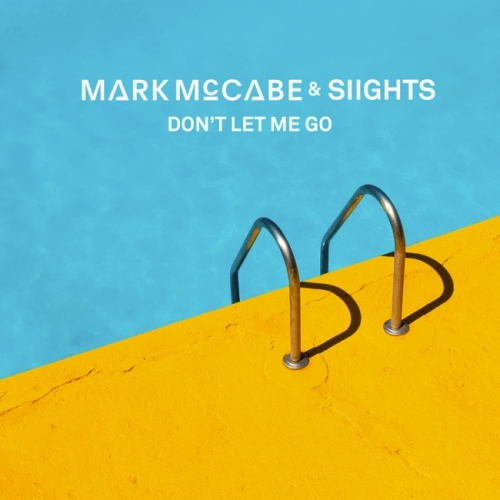 Irish DJ-producer Mark McCabe looks like he’s onto another winner here after the massive success of his Gavin James remix of Nervous (146m streams). This time around he has teamed up with rising Irish-Scottish duo SIIGHTS for this perfect summer dance anthem. After working on the basic track structure in Amsterdam, McCabe sent it over to the duo to add something special to it and oh boy, they sure have done that. Clocking in at just shy of three minutes and bursting with feel-good summer vibes, Don’t Let Me Go is a joyous cocktail of pulsing synth melodies, warm vocal harmonies and one hell of an infectious beat. Released today and featuring on Apple Music Best of the Week, this is one of those tracks that’s instantly appealing and we suspect will be added to many people's personal playlists over the coming months, alongside the numerous editorial streaming dance playlists. As the summer season ramps up expect to hear spins of this on commercial and national radio, as well as anywhere there is a pool or a beach. Simply glorious.